A wild SMART car in its natural urban habitat - right before 3 toddlers pushed it into the river. 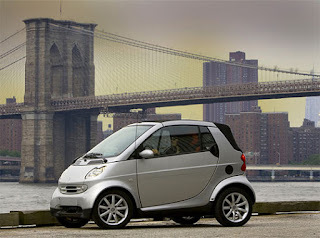 The SMART car, from Daimler AG (formerly Daimler Chrysler). They're basically the tiniest, most ridiculous looking cars ever built. At the same time, I can't help but find the design charming. They're great, in theory, for traversing crowded city streets - and especially handy for parking in comically small spaces. You can practically park one in a phone booth. Seriously. Stupid small parking space - Only way to get out of this spot is to ask some kids to help you roll the SMART car onto the sidewalk. I've seen them puttering around gas-taxed European cities, and twiddling through parking-starved Manhattan - sometimes in motion, often parked on the sidewalk, but never traveling in excess of 30 mph. But today, for the first time, on my way home from work, on the highway, a SMART car actually PASSED me - at well over 70 miles per hour. I couldn't believe it. Who knew those things could go that fast? It's got a 1.0 liter 70 horsepower engine. That's slightly more powerful than my vacuum cleaner. For the record, the SMART car website lists the top speed at an ELECTRONICALLY LIMITED 90 mph. How much faster could this vehicle travel before taking flight? Or going back in time? Before today, I would have compared driving a SMART car to riding a bicycle while wearing a suit of armor - in either case, you can't go very fast, and if you're hit by a taxi cab you have a reasonable chance of not dying. I was very, very wrong. At 90 mph, you would definitely be dead if you struck a taxi cab. Not only that, but the SMART car would be reduced to a pile of dust. 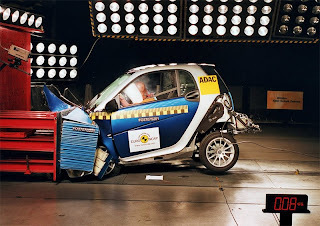 The SMART car survives a 0.08 mph head-on collision. Still, I'd actually have to operate one at high speed before passing further judgment. My guess is that anything over 50 mph in a SMART car would be a terrifying experience - kinda like riding a rocket-powered lawnmower across a frozen lake. But as that SMART car flew by me on the Hutchinson River Parkway today, the driver appeared calm and composed - insofar as I could determine his emotional state in that fraction of a second. So now I'm curious. 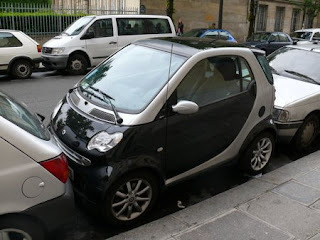 If you've got a SMART car, please let me take it for a spin. 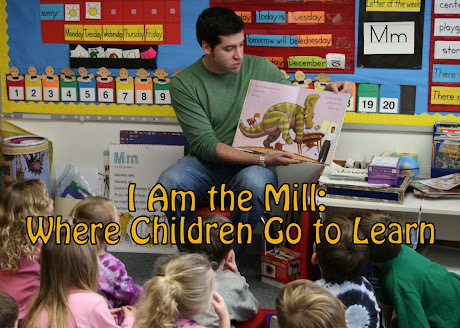 And then lift it over my head with one hand. I test drove one in NYC. Actually, surprisingly comfortable inside. But it did seem like something like a coffin on wheels at anything over 30 mph. The big question is how did it feel having a SMART car PASS you on the highway??!!? Although the car looks like an Erkle mobile, the crash test speaks loudly to me. I often wondered what your chances of survival would be in a wreck. It seems like your chances would be pretty slim, based upon the car's dimensions - unless the entire interior is one big airbag.